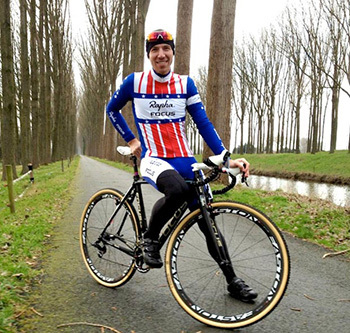 despite suffering so, mr powers is perhaps unsurprisingly happy; he is now american national cyclocross champion, a title that has been at the forefront of his thoughts, racing and training for many a long year. "I finally got that monkey off my back." the 2011/12 season has also been one of his best in terms of outright victories including back to back wins at the deschutes brewery usgp weekend. this has also been his first season with rapha focus, a team that has fulfilled pretty much all the promise you can think of after only two seasons. last season, powers rode for the cyclocrossworld.com/cannondale team alongside tim johnson. though retrospectively a vacuous question, why the move? "basically tim and i probably got too comfortable. we raced together, hung out together and often trained together. 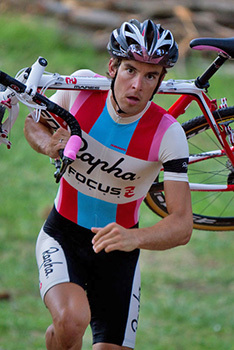 rapha focus had approached me during the previous season but it didn't feel right at that point. this time it did." 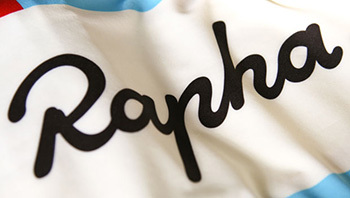 it seems almost unnecessary to point out that rapha is a predominantly british brand, based as it is in perren street in kentish town, london. though there are rapha outcrops appearing all across the globe, you'd figure most, if not all, strategic decisions would emanate from this location. the rapha focus cyclocross team is one of the few exceptions. i asked north american manager slate olson if it had been a hard sell? "But to answer your question more directly, it wasn't that difficult a sell to London. For one, 'cross has a direct and legitimate connection to road racing, and we love racing and have enjoyed success with the Rapha-Condor-Sharp team in the UK. Extending Rapha's presence in professional racing through the winter with the Rapha-Focus team was seen as a natural step." ceo simon mottram concurs. was this a case of portland taking matters into its own hands?"Definitely. Our team in Portland are cross racers and The Rapha Focus team is completely their idea. Cyclocross is hugely popular in the US and growing rapidly. Slate saw a chance to have more impact than would come from a conventional road team." jeremy powers has had to interrupt the conversation a couple of times to stave off the manifest effects of his cold. would it be true to say that the team had been built around him? (the other members are chris jones, zach mcdonald (usa u23 national champion) and julie krasniak) "yes, definitely." in which case, had jeremy been a specific target of slate's, or was it simply one of those serendipitous happenstances? "The short answer is yes. Chris Jones and Zach McDonald were the first two gents that we targeted to build the Rapha-Focus team around. Not only are both strong, strong riders, but they are quality people that we knew would not only have results but make an impact with who they are. As I was talking with them in 2010, I did also reach out to Jeremy Powers, but as a complete "wouldn't that be something" sort of flyer. I knew more of Jeremy than I knew him, but was a fan, was well aware of his talent and knew that he was also a bit of a fan of Rapha. The sport needed to break up the CyclocrossWorld 1-2 of he and Tim Johnson and we knew he'd look great flying our colors.ÊI'd still call it serendipitous though." with so many excellent riders visible in american cyclocross, including jeremy's main rivals tim johnston and ryan trebon, what made slate want to sign powers? "His results speak for themselves. Obviously, I am very, very happy that he had the success and sort of season that he wanted. Jeremy is blessed with talent, works very hard and to have it come together is fantastic. Again, beyond the results, he has an electric personality, a great sense of humor and is someone we knew could bring meaning and interest to the Rapha-Focus program and our brands." for those who are less tenacious in their following of american cyclocross, jeremy powers has featured himself and his sponsors writ large in a regular video series entitled 'behind the barriers'. jpow's extrovert tendencies are ideally suited to this medium. rumour has it that he paid for the previous season's episodes from his own pocket. was he still putting his own money where his mouth is? "No. this year my sponsors (Rapha, Focus, SRAM, Easton and Giro) have fully funded 'Behind the Barriers'." what prompted the series? "I just wanted to promote the sport of cyclocross in the States, to get it into as many homes as possible. If only a few of those who watch grab a bike and take part, then it's served its main purpose"
doesn't it intrude on a busy career? "Not really. Pretty much the whole thing is handled by Sam; he does all the filming and editing, but I have the final say on everything. Sometimes I've had to say no to a scene because it's a bit controversial, or because it features a product that you can't buy yet, but other than that, I wouldn't say it gets in the way." did rapha have any input into behind the barriers apart from the odd appearance by slate and jeremy dunn? slate olson;"Nope. That's all Jeremy and Sam's doing. Call Powers what you will, he's a funny guy to tag along with. I think 'Behind The Barriers' has definitely taken strides this year." despite the team consisting of four riders, from a fan perspective, it seemed to be all about jpow. was this a deliberate ploy, or is he simply possessed of an irrepressive nature? according to slate olson "For us it wasn't all about JPow at all. Jeremy is a bit of a one-man marketing machine with 'Behind the Barriers', so I could see how it feels like he took top billing. And, with Jeremy winning a lot of the big races, it was tough to keep his name out of the headlines. But, it was definitely a team effort this season.Ê"
from jeremy's point of view, did the rapha focus team operate just as the name would suggest, for it seems less likely that other team members could help towards a victory as can be the case with a road team? Yes, it's definitely a team, maybe not in the way it works on the road, but it's definitely a team effort. We usually pre-ride the courses as a team, and Zach might say to watch out for a particular corner or tell me he made up two places in his race by taking a different line through a specific section. We all help each other; it's a real team." as mentioned above, it's been a successful season, ending with two usa national champions jerseys, one of which will grace this weekend's world championship race (powers and jones will race for the usa team) at koksijde. what were the outline goals at the beginning of the season? slate olson; "1. Look fantastic. 2. Have fun. 3. Race as best as we could... which leads to 4. Win.ÊIÊknow that Zach always had his eye on the U23 US titles and spending more quality time in Europe. Jeremy was the same, I believe he targeted the USGP and certainly wanted to get the Nationals monkey off his back. Beyond that he was eager to continue to improve in European competition. Chris was a bit of a question coming into the season because of his massive workload during the road season and the Tour of Britain crash that banged him up. I think the season worked out about as perfect as could be for Chris. He had some good results as he came on strong the middle of the season and being selected for the US team for Koksijde is tremendous. "The other goal for the team was to add a woman to the program. Julie Krasniak (aka. 'Ze Frenchwoman') came on a bit late, but added something fun for the team. I am inspired by the growth of 'cross because of women and for us it was important to support and be involved in the women's field. At least in the US, I think that the women's fields will only continue to grow and I believe that 'cross will do wonders for inviting more women into bicycle racing." with one of those other team members, zach mcdonald, having grabbed the u23 national jersey, will having two champions on the team give slate more leverage on the budget for next season? "Ah budgets. We'll see. We have all three of our guys signed through Worlds '13, that has always been the focus. Hopefully we'll keep having fun the 2012-13 season." of course, all this has happened across the pond, in a sport that the uk seems to have far more of a minority interest in. but having the usa national cx champion on the team must surely be the equivalent of having kristian house in the national road-race jersey. will this encourage perren street to continue or expand its investment in cyclocross generally such as last year's three race supercross series? simon mottram says it's a separate issue. "Cross here is catching on but is so far behind the scene in the US. The SUPERCROSS series is our attempt to lift the sport here and give it some of the US excitement and fun. Maybe we will be able to get Jeremy over for this year's races?!" it's obviously not heating up much in belgium, for though sram's woolly hat has achieved a more relaxed stance on jeremy's head, the jacket is still pulled close about the collar. does jeremy regard this as having been his most successful season to date? "In terms of results I think that would be true to say, but in terms of success, nothing is more successful than that first USGP win. It depends on how you view or measure success." now that the national champion's jersey is safely on his back at last, does he intend to concentrate just as hard on the American season next year, or are there plans to spend more time in Europe? "i spent two seasons alone in Europe in 2004 and 2005 before realising that I wasn't at the level I needed to be at to be really successful. So I came back to America to concentrate on getting better, and now I've returned to Europe as a champion. But I like to have fun and I don't know if I'd want to do this if it meant living, racing and training in Europe to achieve ultimate success. I like going home after races and I like to spend time with my girlfriend. "But to answer your question, I want to concentrate on getting to Louisville, (kentucky, venue of the world championships in january 2013) in the best shape I can." before leaving jeremy to get warm and to hopefully feel better, it seemed an idea to ask where he goes from here? does he have a cunning plan? I just want to continue trying to be the best I possibly can be at all times, to win as many races as I can, and to have fun doing so." do jpow's thoughts for the future coincide with those of slate olson? "To be honest I'm a little upset with Jeremy and Zach winning and putting a kink in our team colors, so that's the first strategic issue we'll have to solve. We're going to keep pushing next season and I'm sure we'll have a few tricks up our sleeves, but the focus is pretty similar to this past year. Should be fun." does simon mottram feel that portland's renegade sponsorship ideal has been ultimately repaid by jeremy's win in wisconsin earlier this month? "The investment had more than paid off already through excellent press coverage and engagement with cross racers. Powers' win won't hurt though!" 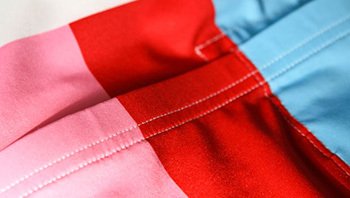 and will a replica usa cx nationals champion's jersey be made available through the rapha store? "I'm sure Slate will be pushing for that one! It's great that the US federation is much more relaxed about the design of their national champ jerseys than most countries (UK included). We're pretty happy with the new design. Let's see how many people ask for it!" once this year's world championship race is over and done with, jeremy powers has only four or five days break before he flies to the season's first training camp with the jelly belly road team for whom he'll race the rest of the season, including the tours of colorado and california and perhaps the occasional foray into europe. 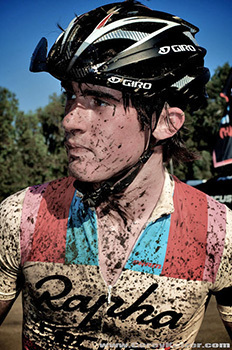 it's a dirty job (literally) but i'm kind of glad that jeremy powers is doing it. i am very grateful to jeremy powers, slate olson and simon mottram for their considerable assistance with this article.